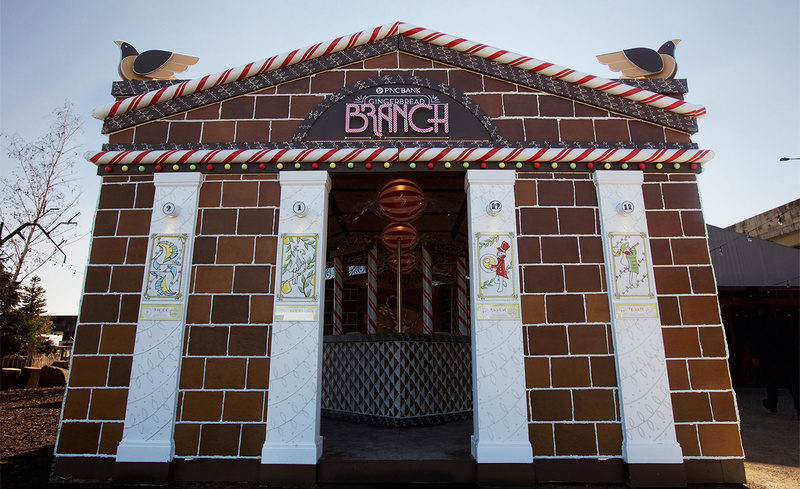 This was the kind of project you dream about as a kid, a project made of sugar and spice and all things nice ­­— to create a life-size working bank branch out of gingerbread! All to celebrate the PNC Christmas Price Index, an annual report that prices the gifts from the holiday carol "The Twelve Days of Christmas." 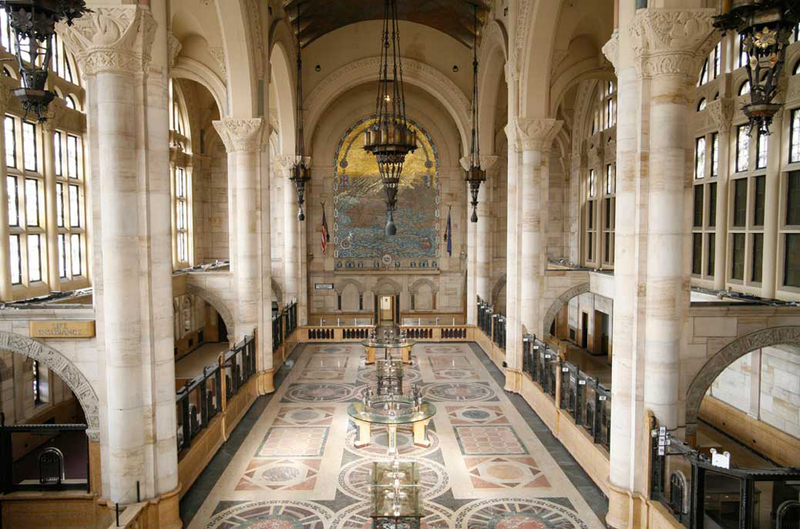 First, we looked for inspiration and found it in Art Deco architecture of great buildings like The Williamsburgh Savings Bank, The Metropolitan Life Insurance Building, One Wall Street, Rockefeller Center and the Chrysler Building. We wanted to make sure this was more than just a large gingerbread house. 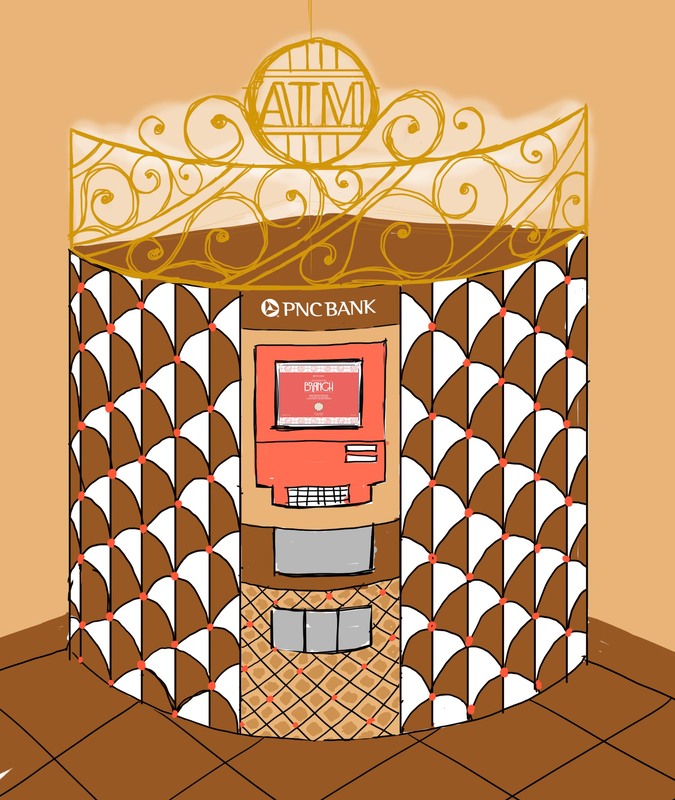 We thought about what makes a bank a bank, and what its contents should be: ornately decorated columns, patterned ceilings, an old school vault and teller windows, not to mention gargoyles. And then we began to sketch. And we kept on sketching until we got it perfect. We created custom illustrations of each of the 12 gifts from "The Twelve Days of Christmas" for the 12 columns and incorporated candy, gingerbread and frosting into everything we did. The columns were inspired by frescos we found at 30 Rock and this Art Deco aesthetic flowed through all the design elements, with a dose of Willy Wonka mixed in. From the vault that looked like a giant cookie to the ceilings adorned with patterns made from frosting, to a teller window made out of gingerbread, and gargoyles that became four calling birds. We even created a Gingerbread Branch logo and custom typeface that was designed to look like candy canes, both made especially for the project. These sketches led to architectural plans and the plans led to detailed 3D renderings of the branch. After many, many meetings and technical discussions we were ready to get baking. 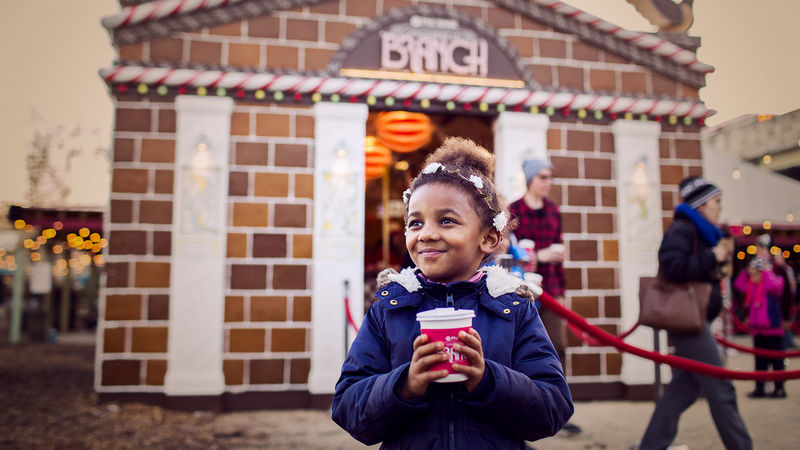 In the end our bakers, Bredenbeck’s Bakery in Philadelphia, baked 2.5 tons of gingerbread to cover the whole of the bank, inside and out. That’s a lot of gingerbread! 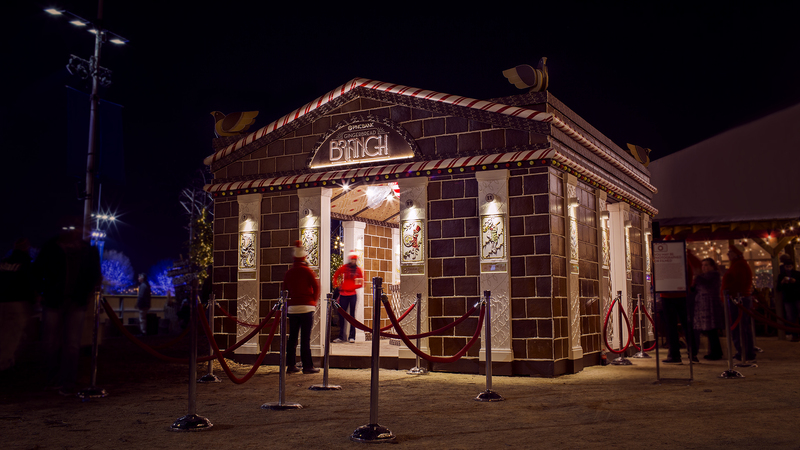 To put the icing on the cake, the bank was built outside in Philadelphia, so it had to stand up to the harsh winter weather. Sounds impossible, right? The bakers experimented with the consistency of the gingerbread and between them and our construction team, we developed some tricks to make it more durable. We removed liquid, lowered the amount of sugar and butter, increased the amount of flour, added molasses, and baked. Then we placed it outside to dry and harden for a few weeks, making it less tasty but more sturdy. Even the frosting had to stand up to the elements, so we used silicon caulk as a replacement, this allowed us to get the consistency of icing while being much more durable. We knew that not everyone who wanted to visit the branch would be able to make it to Philly, so we set about creating an immersive AR tour that could be enjoyed across different devices. Nobody wants to download more apps, so we decided it had to work on all modern mobile and tablet browser along with a version for desktops. The experience involved oodles of designing, including art deco icons for the 12 gifts buttons, borders and content, and days of late-night coding. The AR experience had to be believable, so we did a 360° shoot of the interior the night before the Gingerbread Branch was to open, so that the virtual tour could go live right when the real branch launched — no pressure! That night, we set about stitching all these flat photos together to create a flawless AR experience that made you feel like you were really there. You could even explore the 12 gifts from "The Twelve Days of Christmas" and learn how much they cost this year. And with a lot of hard work, we launched the experience with hours to spare, and man it was sweet. And so the Gingerbread Branch was born and this year’s PNC Christmas Price Index was launched and both looked good enough to eat. Alex is an Englishman living in New York. 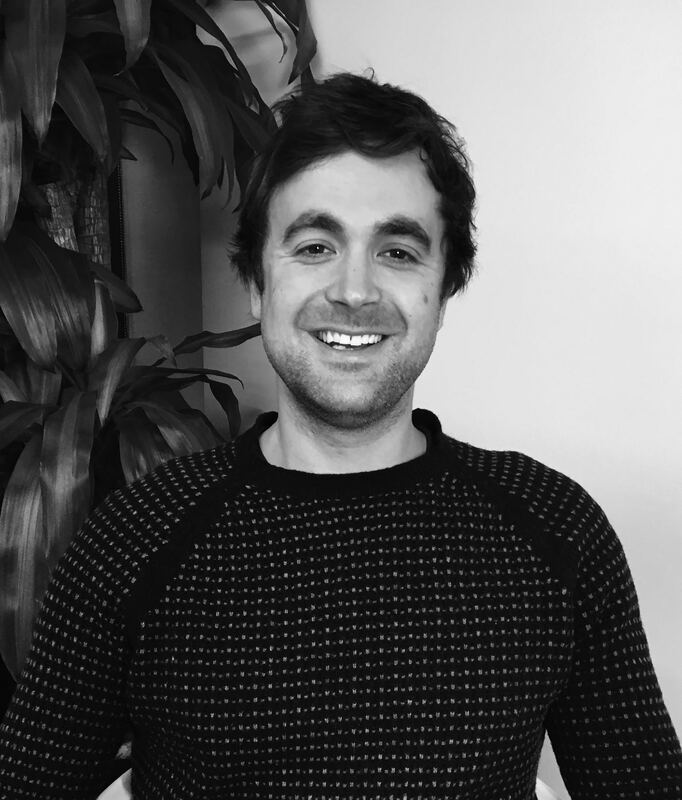 He has worked and traveled his way across the globe from London to Asia to the United States, where he has landed in the NY office of Deutsch. His work has been recognized by the One Show, D&AD, Cannes, the Asia Spikes and, especially, his mum. 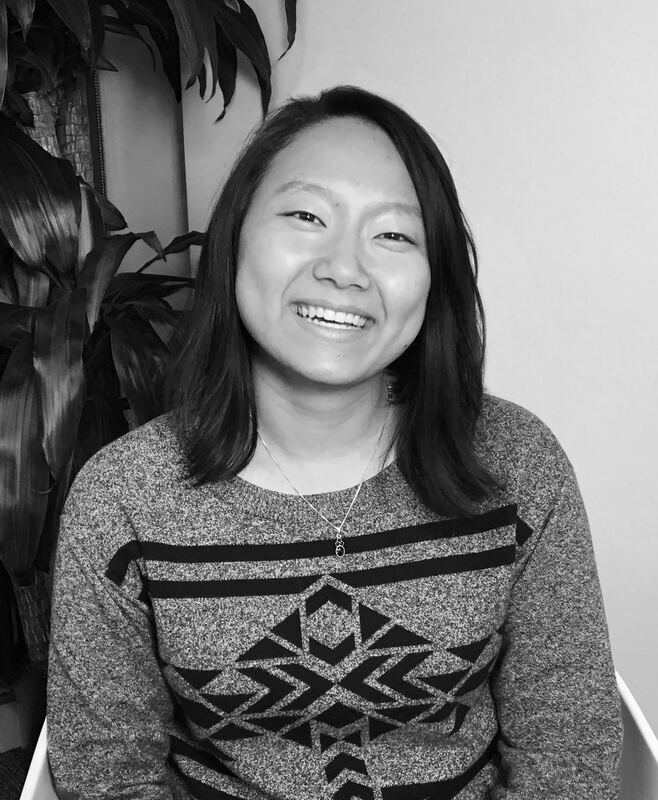 Lynne is a Graphic Designer, Type Designer, and Lettering Artist at Deutsch. Her list of employers and collaborators prior to Deutsch include Apple Inc., Publicis Kaplan Thaler, and Graphis. Her featured publications and exhibits include the Type Directors Club, Art Directors Club, CMYK Magazine, Graphis New Talent, and CA Korea. Lynne has also been honored with awards from the Type Directors Club and Graphis.